There’s been so much Bitcoin craziness over the past month I thought I should compile a write-up to provide my perspective. I read Ian McDonald’s Luna: New Moon in the autumn of 2015 which inspired me to believe in the future of Bitcoin, because McDonald presented a compelling vision for future use: a colonized Moon at the end of this century, using currency he called “Bitsies”. With Elon Musk’s goal of putting a colony on Mars within the next 50 years, and with the reasonable prospect that the Moon will end up colonized for resource mining as presented in McDonald’s novel, it makes sense to imagine that electronic money not tied to any Earth-bound nation state could be an obvious use case. It follows also that while the United States dollar is considered the global currency at this point in time, it’s ultimately a fiat currency of declared value. It might make sense to the global status quo to have USD as the world reserve currency, but it’s also reasonable to ask if that should be still true in ten years? Or Twenty, thirty, etc? Now that Bitcoin — and cryptocurrency in general — exists, does it present a viable alternative? A financial system that runs on the Internet in a public distributed ledger makes much more sense as an instrument of global finance, so while at this point Bitcoin may be in a speculative bubble, and it’s not infrastructurally capable of being a global financial instrument, a critical mass of people under the age of 50 see its potential. What I imagine at this point in time is a new generation of financial elites emerging over the next twenty years who will increasingly want to replace the global financial order with Blockchain technology and cryptocurrencies built on that. So, is Bitcoin destined to fade away, to be replaced with something better? Possibly. What McDonald’s novel suggested to me was that Bitcoin has brand-recognition. There are a multitude of alt-coins but everyone has heard of Bitcoin. Last summer, Bitcoin forked into Bitcoin Cash, which means that the Blockchain ledger at that point was duplicated, one copy remaining as Bitcoin and the other copy continuing on as Bitcoin Cash. This represents the two competing visions for Bitcoin, and I don’t see either as harmful to the other. If anything, this represents speciation; we are seeing an emerging cryptocurrency ecosystem. As I understand it, the vision for Bitcoin is to become an instrument of global finance. Within Bitcoin evangelists there are those who want it integrated with Wall St, to become a tool of financiers, and those who want it to replace fiat-money entirely, who argue “you won’t need to sell”. That implies that you can use your Bitcoin wallet at the grocery store, a coffee shop, a bar, and to pay bills. According to this vision, a rise in price is the equivalent of measuring US Dollars to the Zimbabwean Dollar, which printed a 100 trillion dollar bill. The equivalency means that if 1 BTC = 1 million USD and that would mean USD are worthless. Because Bitcoin is future-oriented, with a timeline stretching to the year 2140, one can’t help but use some sci-fi thinking, as already exemplified. Now I want to reference Star Trek’s money-less society. It has never been made clear how Star Trek’s moneyless society worked, but it’s worth noting that for many people today, “money is no object”. The wealth disparity evident all around means that many are living in different financial psychology than the rest of us. Let’s say you make $50K a year, and a loaf of bread is $5. That bread costs 0.0001% of your annual income. And at this scale, nothing in the world costs 5¢. Now, let’s say you make $500K a year, while a loaf of bread is still $5 thanks to rigorous anti-inflation policies pursued by big bankers (who make over $100K) and politicians (Canadian MPs $157K). A $5 loaf of bread is 0.00001% of their annual income. To someone making $50K, that percentage is equal to something that costs 50¢. To someone making $5 million a year, a loaf of bread is the equivalent to 5¢, or effectively free. This is the Star Trek world where “everything is free”. As William Gibson famously said over twenty years ago, “the future is already here, it’s just not evenly distributed”. At this point, Bitcoin is an income magnifier, an inflationary technology which is bringing a new cohort of “money is no object people” into society. If you’ve wondered how Star Trek got to it’s “money doesn’t exist” future, we are living with part of the answer. Money became worthless. To return to Bitcoin Cash — while the original Bitcoin may become an instrument for the wealthy, the vision for Bitcoin Cash is that it becomes what you’ll use at the bar, restaurant, coffee shop, grocery store. It was created because Bitcoin could not scale to that level (for internecine political and not technological reasons). Because Bitcoin Cash is designed to scale, it won’t be surprising to see “We Accept Bitcoin Cash” stickers in the years ahead. And because of this probable increase in use, it follows that Bitcoin Cash will rise in value. As I write this, 1 BCH = 1,937.83 CAD vs 1 BTC = 19,785.1 CAD (source Google). It occured to me that the rapid rise in price over the past year related to the controlled supply of Bitcoin. As mentioned, Bitcoin is structurally limited to top out at 21 million Bitcoins in 2140, but mining becomes increasingly difficult. As I write this in December 2017, there are 16.7 million Bitcoins. Most that will ever exist now exist, and the remaining 4.3 million will be mined over the next 153 years! So, for most of the past nine years, since Bitcoin’s inception in 2009 (Jan 3 2009: 50 Bitcoins, Jan 1 2013: 10.6 million) when mining was dramatically increasing supply, the price compared to USD was relatively low. Also during this time, the use-case of Bitcoin was becoming established and it was reasonable to think of it as worthless. Part of the structural limitation is the “halvening”. As part of the Blockchain mining, new Bitcoins are added to the network each time a new block as been discovered and added to the chain. A brief description of mining: Bitcoin used the SHA 256 encryption algorithm, which takes any string of characters and converts it to unique gibberish. So, the text string “Bitcoin!” hashes to b81bf654dc352f66a0fcb51da8a260b60cf4a92dcf01f04f5f523961d9f6a6d7. Bitcoin mining is looking for hashes that begin with a string of 18 zeros. For example, Block 498421 mined on 9 December 2017 has a hash value of 0000000000000000005799f1528fe4a21910ca23939fc332c919a409fbe0b20d. Again, hashes are unique, so finding a hash that happens to begin this way is like finding gold, aka, mining. Between 2012 and 2016, each new block added 25 Bitcoins or about 3600 per day. 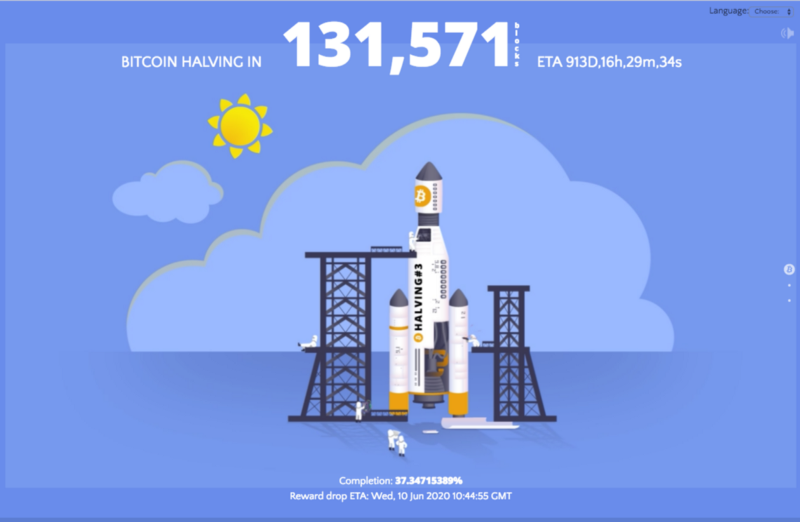 Since July 2016, when the last halving occurred, it has been 12.5 BTC or 1800 per day. We have have seen the price do nothing but rise since then. 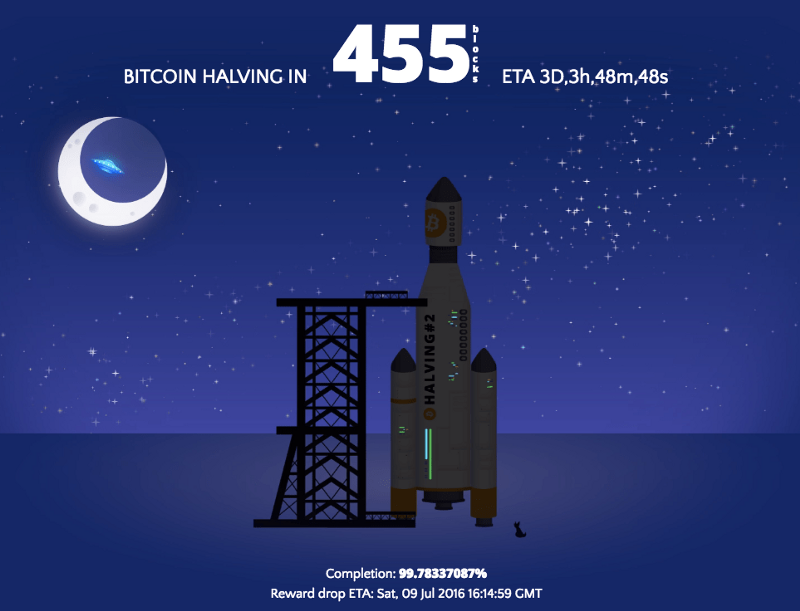 The next halving is scheduled to occur in 2020, at which point, only 900 BTC will be released per day. 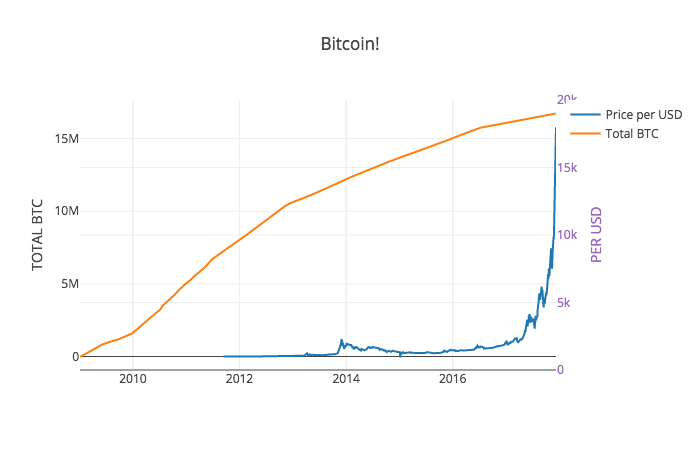 In the year 2056, only 1.75 bitcoin will be released per day, and from that point forward, no whole Bitcoin are released, until the 2136, where a daily output is 0.00000144 BTC which halves to nothing in 2140. (Source) It might be worth noting that 0.00000144 BTC is the equivalent of 3¢ in CAD at the time of writing. So from this point forward, the abundance of Bitcoin discovery is past, and scarcity is increasing, which means the price will rise according to demand. This year’s spike in price is reflective of this. Bitcoin will undoubtedly continue to fluctuate in value, with crashes and highs, but what I’ve laid out here is how I understand it, and what I’m intrigued by. I want to see how it all plays out, and I want to see where I’m wrong and where I’m right. Since it’s quite obviously in a bubble zone right now, with an unstable conversion price to fiat-currency, it needs to be said continually to not buy more than you can afford to loose, because you still need fiat to pay the bills.